Brontë Carpets is a small, family run company based in the traditional heartland of the woollen textile industry specialising in producing carpets with a true feeling of luxury. We are able to offer a truly bespoke product with carpets available in any width up to 12 metres wide without seams, in any colour and even made to shape to reduce waste. Family run in Lancashire for 30 years Brontë supply custom made carpet, from a few centimetres up to 12 metres wide without seams. For both home and commercial environments each order is manufactured individually on manually controlled pass machines, taking one person to make one carpet at Brontë. Backing and finishing is also achieved using manual techniques allowing a precision and eye for detail mass manufacturing processes miss. Quality control in such a personalised production process is second to none as each carpet comes under increased scrutiny during its manufacture. Best New Zealand wool is used as the premium material to underscore each carpet’s supreme quality. Saxony Velvet and Shag pile with 100% wool content; Twist 80% wool/20% nylon; the Shear Classic recently re-launched up to any width to maximum 4.65 metres in three pile weights. All of these are available with handcrafted borders, again as part of bespoke personalised service, which we at Wakefield Carpet shop are proud to promote.  Brontë carpets also offers bespoke and quality services to make an entire carpet if provided only with a sample, as well as awkward L and T shape carpeting thereby reducing waste in awkward areas. Brontë is proud of its carpet’s sustainability credentials. An entirely wool product, non-oil derivative is 100% sustainable and 100% recyclable as the decomposition process releases nutrients to promote growth in the natural environment.